As a follow-up to an an article we posted in March, we wanted to go into more specifics regarding on-site supplier verification. One option for supplier verification is a basic on-site check. The well known magazine manufacturingnews.com and the Dallas Business Journal indicate that 85% of ISO registered firms report external benefits like higher perceived quality, greater customer demand, better market differentiation, greater employee awareness, increased operational efficiency, and reduced scrap expense. Results like 30% reduction in customer claims, 95% improvement in delivery time, reduced defects from 3% to 0.5%, 40% reduction in product cycle time, 20% increase in on-time delivery are achievable after correct implementation of an ISO 9001 based quality management system. It is important to consider everything can be implemented quickly, with not many resources involved and of course ending in an successful ISO 9001 certification within reasonable cost and time frames. The best tip is to plan out your implementation/transition project right from the start in effective and efficient ways by conducting a 100% compliance Internal Gap Analysis Baseline Audit against all the existing requirements of the international quality management standard in relation to your existing quality management system. And, it does not matter whether you are an ISO 9001:2008 certified company or organization, as this approach will always provide you with the exact planning requirements for your implementation or transition project. A clear implementation structure based on how to close gaps in your existing quality management system with clear responsibilities and due dates for gap closure and ISO certification readiness always helps to keep projects of this importance on track and on time. These findings and “gaps” will also give you project opportunities to reduce costs and improve your bottom line profitability. This way, you start to make your QMS work for you right from the start! Our latest quarterly newsletter Feature Article discussed strategic supplier selection. Due to the response we’ve had, we wanted to follow-up on our blog. We were surprised to discover many of our newsletter subscribers didn’t know a variety of options existed for gaining additional assurances when going through the supplier selection process. Determining which option you leverage involves the level of risk you’re willing to take in the process. The most basic information that you will want to have verified by an external source includes legal verification. Is the supplier legally able to partner and produce products for you? It becomes less clear how to do that when you’re looking at potential suppliers abroad. Using a 3rd party with local access is often preferred due to the cost and time required to execute internally. 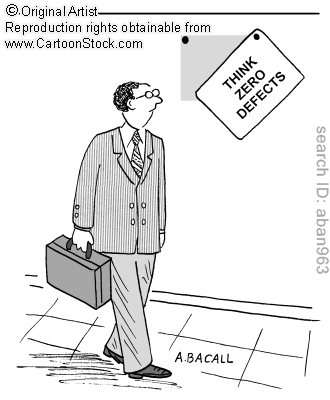 Another indicator of performance is generally an organization’s credit rating. For this post, we welcome a friend to the Pro QC team, Daniel M. Krassenstein, as a guest blogger. Many U.S. importers regard procurement cost and pallet vendor selection as the shippers’ burden, but this is risky and exposes an importer to severe supply chain disruptions should their pallets not be compliant with local requirements and face rejection by border officials. In addition, U.S. importers are missing an easy opportunity to improve their supply chain and their costs. Here is an outline of what is available in the market and their respective benefits and drawbacks. A. Risk of Beetles – The U.S. Department of Agriculture’s Animal and Plant Health Inspection Service conducts inspections of inbound containers at U.S. Ports of Entry. 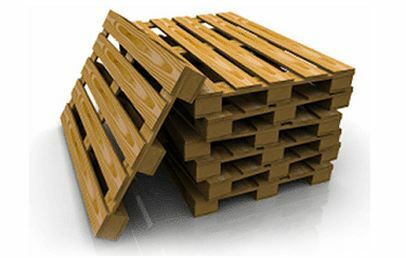 If they find evidence of wood-boring beetles in the solid wood pallets (even if the bugs are long-dead), then your entire container gets rejected and will be sent back to China. I know this for a fact, as we dealt with such a situation a few years back and it was costly!